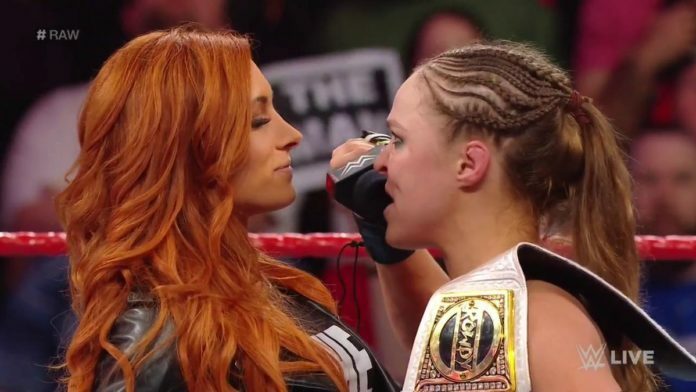 Becky Lynch rips Ronda Rousey's promo from Monday Night RAW, and Paul Heyman praises Lio Rush. On this week’s episode of Monday Night RAW, Women’s Royal Rumble winner Becky Lynch confirmed her WrestleMania intentions. She will be challenging RAW Women’s Champion Ronda Rousey at WrestleMania 35. Lynch interrupted Rousey and Bayley after their RAW Women’s Title bout. However, it looks like a big change could be coming to that match.